April is an edgy month for managers. The hectic Allianz League season, jammed with games most weekends, left them with little time for detailed analysis. They got through that in recent weeks, but have been unable to work with their squads – certainly not to the extent required – as players returned to their clubs. Most county squads continued to train together on a limited basis before their sole focus turns to the championship. Meanwhile, managers are fearful of losing players to injury while, at the same time, working on strategies for a championship where it’s crucial to get things right for opening weekend. So what’s occupying their thoughts as the countdown begins towards the May 11/12 provincial lift-off? What could possibly go wrong? Everything about Limerick’s successful spring campaign suggested that they are increasing momentum. A deep talent pool, soaring confidence and uncertainty over whether their rivals are losing or gaining ground, have Limerick supporters giddy with excitement. Kiely won’t be joining them. He knows that their four Munster rivals will have analysed Limerick in forensic detail, especially the manner in which they interlink as they press forward. They will need some refinements there because what was good enough up to now won’t be as effective when the opposition are in full championship mode. Cork were so bad against Tipperary last month that they looked like a team that didn’t want to be involved in the knock-out stages. Meyler wasn’t amused, since another few games would have given him a chance to test the extended squad. That’s a priority this season, with last year’s All-Ireland semi-final defeat by Limerick in extra-time serving as a reminder of how lightweight their reserve forces were. Limerick subs scored 2-6 while none of Cork’s replacements made any great impact. Aidan Walsh and Stephen McDonnell are back on board this year, while Meyler will also be hoping that some less experienced talent will step up on the harder grounds. “When the day goes well, you think: ‘That’s it, we have our team’ and when it goes badly it’s: ‘Scrap them all and bring in another 15’. That’s the nature of the game,” said Sheedy after the 13-point win over Cork last month. Six days later, Tipperary lost to Dublin in the quarter-final in Thurles. That’s the sort of inconsistency that has stalked Tipp for quite some time, leaving Sheedy with a lot to correct. Who is their No 1 goalkeeper? How reliable is the full-back line? Where’s the real pace in the team? Having won only two of their last 11 league and championship games, will they head into the championship with a serious confidence deficit? Sheedy knew his second coming would be difficult and he certainly has a lot to sort out over the next month. Losing to Waterford by 14 points in the quarter-final was a deflating league sign-off for Clare, who were outscored 0-20 to 0-4 in the second half. It left management with more to address than they might have thought as they look ahead to the Munster opener against the Déise. Clare look the real deal when their game flows, but are also prone to lapsing into self-destructive periods when they concede heavily. The entire camp know just how big this championship is. It’s six years since they last won the All-Ireland, which was supposed to be the start of a golden age. It hasn’t happened, which should bring a special edge on the training ground over the coming weeks. Injuries left him with no option but to test his extended panel during the league, but then he would probably have done that anyway. And while it was disappointing to lose the final to Limerick, it was still a very progressive campaign for Waterford. Despite that, they are priced as outsiders to win the Munster title. Fanning has opted for a more traditional approach than Derek McGrath and is likely to stick with that in order to present a different type of challenge to opposition who had become accustomed to Waterford playing in a certain way. How soon will Joe Canning be back? In his 12th season, why is he still, by a distance, the main man? Where’s the new talent that should be challenging for places? Is it time to call up éanna Murphy, last year’s U-21 goalkeeper? Why are Galway still prone to slipping into down periods when they bleed heavily? Latest example: they led Waterford by three points after 48 minutes in the league semi-final before being hit for an unanswered seven points over the next 25 minutes. Donoghue has plenty to occupy him over the coming weeks. The aura earned by winning the 2017 All-Ireland title is gone and opponents don’t regard them in the same way they did a year ago. 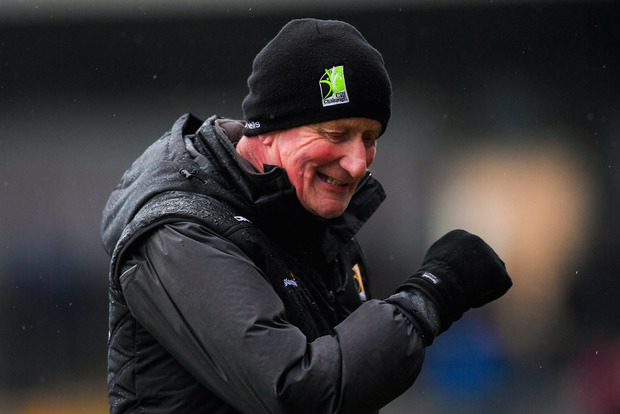 Injuries continue to pile up and while Cody has always operated on the basis that it’s all about what he has rather than what he hasn’t, Kilkenny’s resources are well short of their great days. One of Kilkenny’s great strengths over the years was their capacity to almost always score more goals than the opposition. That’s no longer the case. Curiously, they have a much different score-spread than all their rivals, with 45 per cent of their league total coming from frees. Quite why that is the case remains difficult to pinpoint, but one suspects that a higher return from open play will be required in the championship. Dublin had a good league, topping 1B, followed by a win over Tipperary and defeat by Limerick. It wasn’t all that surprising, since Kenny inherited a progressive set-up from Pat Gilroy. Inevitably, Dublin’s failure to squeeze into the top three in Leinster last year sent them hurtling down the rankings, but that was somewhat misleading as they lost to Kilkenny, Wexford and Galway by a combined total of five points. 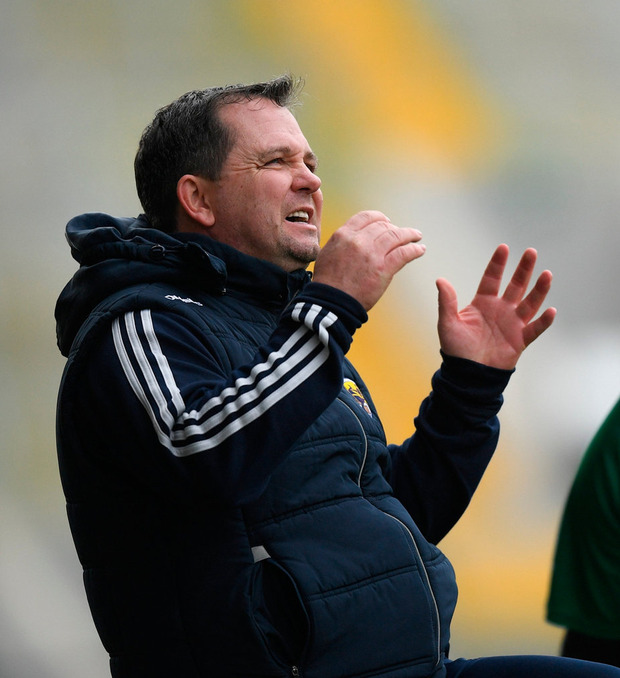 Kenny will be targeting the opening Leinster clash with Kilkenny in Nowlan Park as a win there would be massive, especially with two of the remaining three games in Parnell Park. Year three for a man who is convinced that a Wexford breakthrough is imminent. There’s an alternate view that they have reached a plateau from which they won’t advance unless new talent emerges. 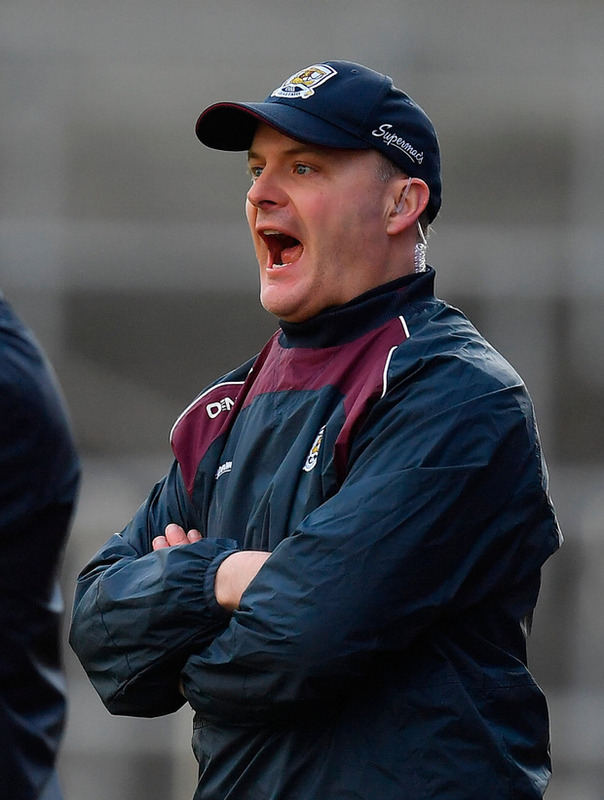 The second-half collapse against Galway in the league quarter-final left them deeply frustrated, with Fitzgerald admitting that it was their worst period of the season. He will, no doubt, repeatedly remind them of what happens when you stand off high-class opposition, so that experience, painful as it was at the time, could stand to them. Surviving in Division 1, having earlier drawn with Galway, has already made it a successful season for Carlow, who are now heading into bonus territory in terms of gaining valuable experience. Bonnar has done an excellent job with them and now finds himself planning against opposition, all of whom regard themselves as All-Ireland contenders. Does he set Carlow up to defend or take their chance in open contests? It’s a decision to be taken before they head for Pearse Stadium to take on Galway in the first round next month. Whatever tactics Bonnar decides on, his squad will be well-tutored on how to implement them.